If you’ve been feeling fatigued, mentally and physically, it’s time to give Esha Yoga a chance. The advantages of yoga are many and the disadvantages none, provided you are guided by an expert. Here is where the many skilled instructors at Esha Yoga can help you. It’s a new-age yoga school in the heart of Santa Clara that provides all of this and more for a New You. Some of its salient features include the one of the best studio settings, a conducive learning atmosphere, an ever-growing community of yoga students, and a truly Indian soul – our founder Manasa Nagaraj is an Indian taught by the best yoga exponents of India. 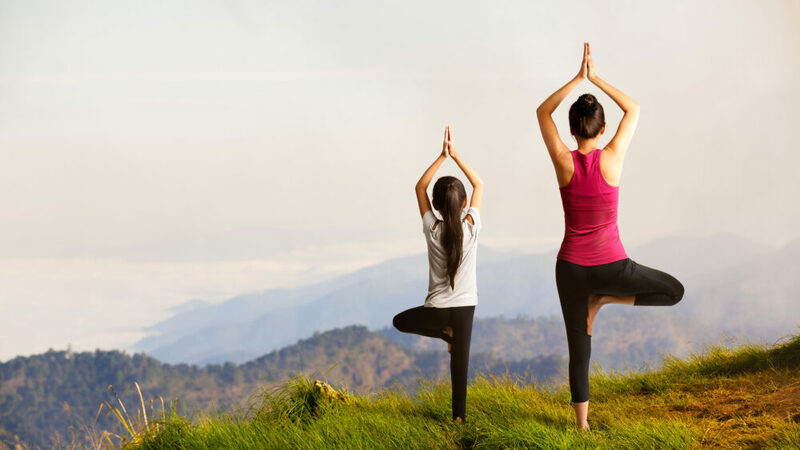 With its roots in ancient India, yoga is a combination of physical and mental exercises. The physical component comprises different asanas/physical postures. The mental exercises consist of pranayama/breathing exercises and dhyana/meditation. Asanas help in maintaining a healthy body while pranayama and dhyana help in keeping a mind healthy and stress-free. Yoga might look like a bunch of merely stretching exercises. In essence, it helps attain self-realisation by achieving a balance between our physical, mental and spiritual well-being. Let’s look at the benefits of yoga in more detail. Most of the yoga postures may initially seem difficult to perform. Stretching your muscles, you can gradually increase the movements in your joints. Routinely performing the asanas won’t only help relieve the morning soreness but also improve our general body posture. Asanas strengthen our core improving our posture helping us in relieving body aches due to incorrect postures. Peace of mind remains as elusive as ever. Dhyana and pranayama induce tranquility of mind by forcing to concentrate on your breath and emptying your mind of all thoughts. It leads to release of stress and anxiety. It improves self-awareness. During yoga postures, while stretching and contracting your muscles, working on your organs, you improve your lymphatic system by releasing more lymph. This in turn strengthens the immune system to fight infections and keep the body healthy and free from toxins. Surya namaskara and Kapal Bharti pranayama helps in losing excess weight. Yoga can help in lowering your blood pressure, blood sugar, maintaining cholesterol levels, and improving digestion among other things. A healthier body is a happier body. Pranayama and dhyana teach you to concentrate on the present moment by making you focus on your breathing. They help in bringing the ever busy mind to a standstill resulting in serenity. You learn to be more aware of self. Relief from stress and anxiety lead to contentment and better relationships in your lives. For an overall improvement in your lives, making as small a change as imbibing yoga could work wonders. Go ahead if you want to balance your work and life. Give it a try. If you live in Santa Clara, Esha Yoga offers a friendly mix of Vinyasa Yoga and Core Power Yoga classes spread through the day. If you are looking at yoga for men and yoga for women, you’ve reached the right destination.